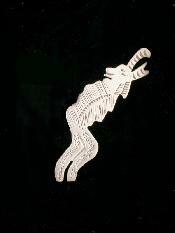 I have no idea what the hell is going on here; but I do know that this pin is made from sterling silver. 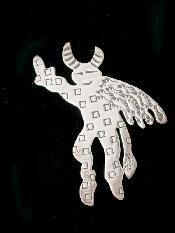 Highly symbolic sterling silver pin. 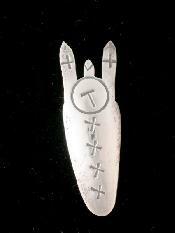 Bird with arrow, hadmade from sterling silver. 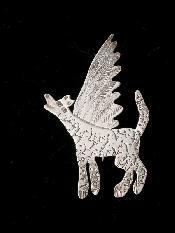 Sterling silver winged cayote symbol pin. 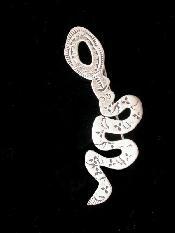 Rattlesnake shake, sterling silver pin. Ooh, Ooh. 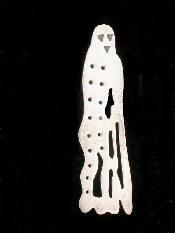 Scary stuff, sterling silver apparition pin. Strange guy that seems to be pointing somewhere? He also has wings. 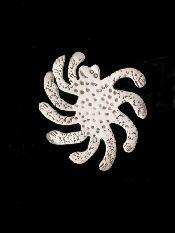 Sterling silver pin. 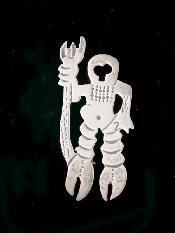 Sterling silver deep sea man with trident, odd; I know. Strange fish-like sterling silver thingy, pin. Look up and watch the skies. Hold on. The last time we saw our hero he was in a boat. Sterling silver pin. Classic native Native American image. 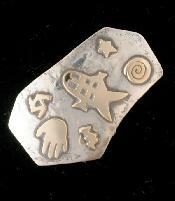 Rendered here in sterling silver. 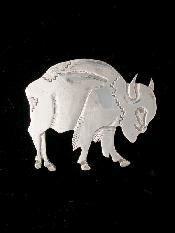 Featuring his winter coat, this buffalo is handmade from sterling silver. Sacred images in 14K gold mounted on sterling silver. 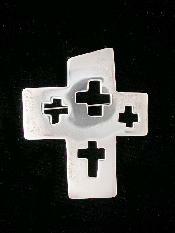 Sterling silver cross pin. We have the matching earrings available in the earring dapartment. Here we have the entry from the Dominican Republic for the next winter Olympics. 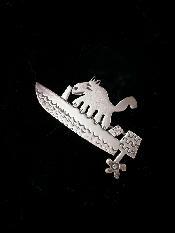 Sterling silver pin.